Hey guys, how was your week so far? Hopefully it went out well for you. As for me, I had a great Valentines Day yesterday with my boyfie. Also, not to mention, like what I said before on my previous post, running up all my assignments trying to complete it as I am trying to balanced up my social life and my studies. It's been piling up since after CNY. As for now, I have a lil announcement for you. 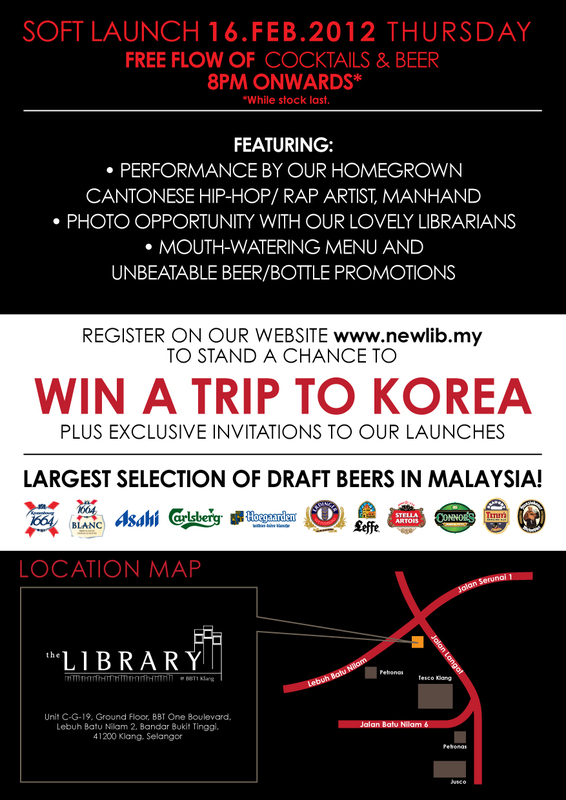 Stated on my blog title, it's The Library Soft Launch in Klang. Anyone of you always at The Library? If you are, here's something you should know. Its been a while since I visited Klang. I'm only there for the BKT. 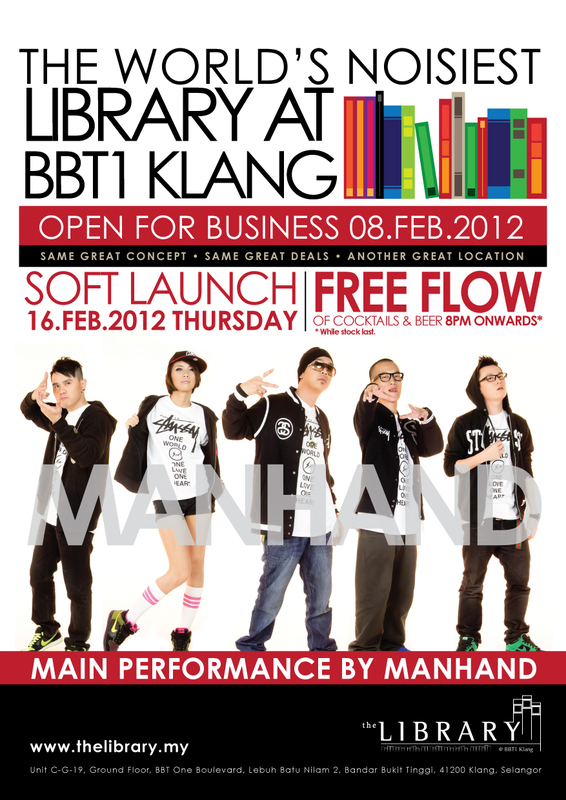 As for now, there's more reason for me to go Klang more often because they gonna open a new branch of The Library at Klang. Lebuh Batu Nilam 2, Bandar Bukit Tinggi, Klang. There's live band performance by Black Cats, my fav ManHand *wink*, free flow of cocktails, beers and so on. 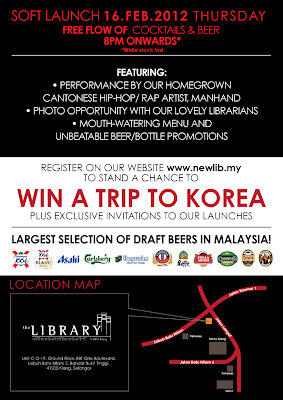 Make sure you make your way there to Klang for this awesome night.